Following up on a comprehensive product release celebrating Independent’s 40th anniversary Vans have kept the ball rolling with a limited-release footwear and apparel capsule, available at select Vans Pro Skate dealers. Full details below. The limited capsule showcases a Vans Independent Style 36 Pro, an original Vans style that will be presented for the first time with the full-range of Vans Pro Skate specs. Originally released in 1977, just before Independent Truck Co. was born, the silhouette portrays design accents that pay homage to the look and feel of an Indy truck, including an all-over embossed Independent cross logo pattern, a metallic silver Sidestripe, and a signature translucent glossy orange rubber outsole to match Indy’s iconic bushings. Vans will release the shoes in a custom-designed, vintage-style Vans shoebox with retro graphics and the slogan “Build to Grind” on the packaging. 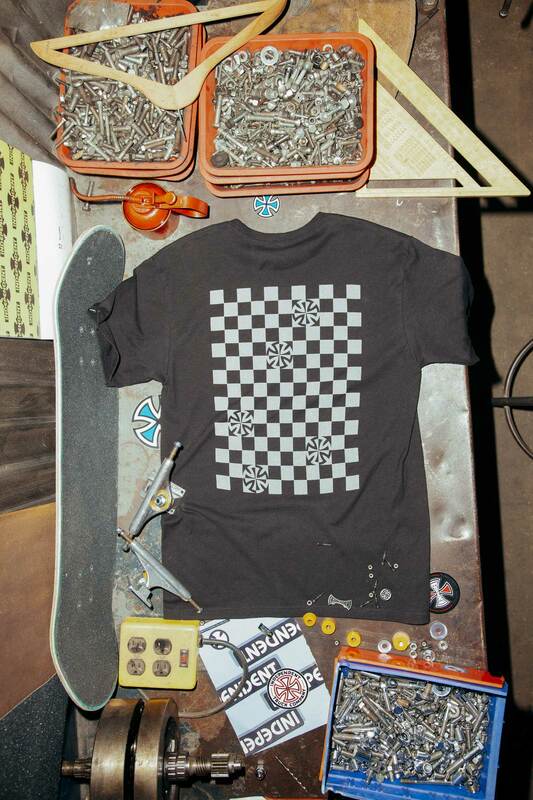 This exclusive drop comes with a unique set of Vans and Independent enamel pins, and an accompanying tee with artwork that combines the DNA of both brands, fusing Vans’ iconic checkerboard pattern with the Independent cross. The signature print utilises a specialty metallic ink to tie back to the footwear, and is reflective when exposed to direct light. For more information or to find an authorised Vans Pro Skate dealer near you, visit Vans.com/skate.